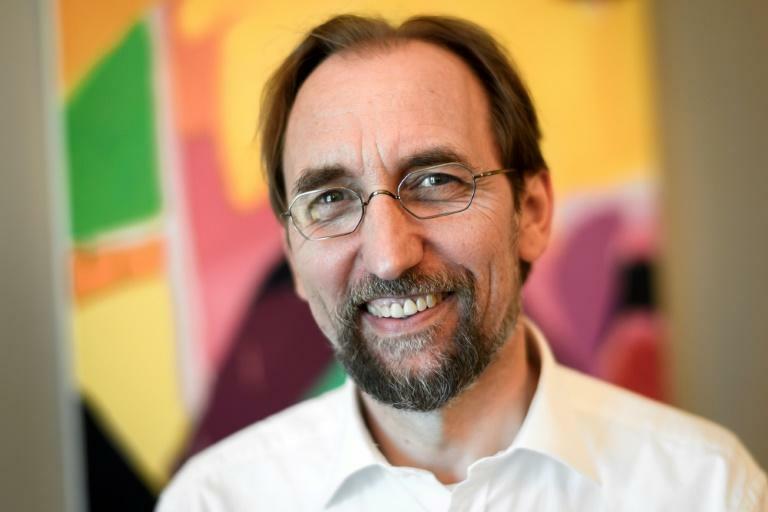 "There is only one way to do this particular job," outgoing UN rights chief Zeid Ra'ad Al Hussein said Monday, urging his successor not to waver from publicly condemning serious abuses. "We are not in the silence business here," said Zeid, who steps down as the United Nations High Commissioner for Human Rights at the end of the month. 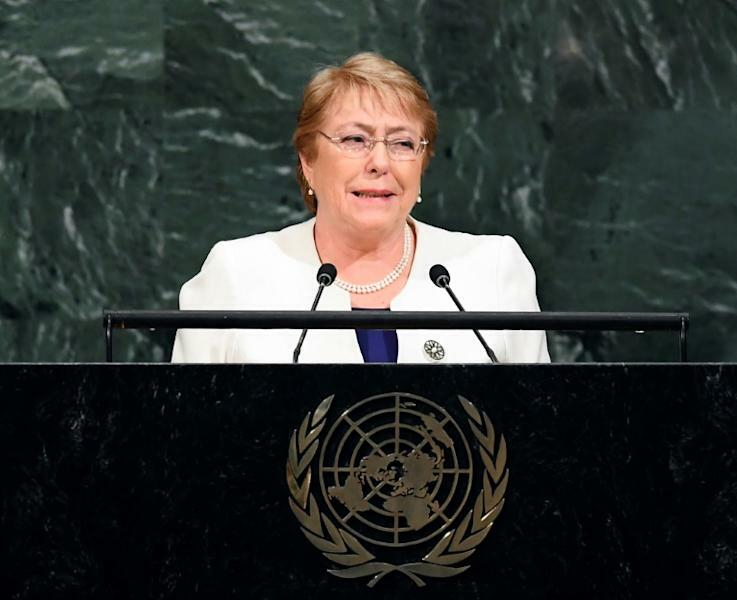 Zeid, a member of Jordan's royal family, has praised the woman chosen to replace him, former Chilean president Michelle Bachelet. But during the search for his successor, diplomats and some UN insiders indicated that Secretary General Antonio Guterres needed to pick someone who would be less harsh towards political leaders accused of wrongdoing. "I am not into making friends with governments," Zeid said in an interview with selected international media including AFP, insisting that the rights chief's mandate was to be a voice for victims of abuses. "I would be very doubtful of any high commissioner who didn't do (the job) like this." Zeid has been a fierce critic of leaders across the world, notably US President Donald Trump. Some have suggested that Guterres wanted the rights office to change its tone to avoid losing support from powerful member states. Zeid told AFP that Guterres only asked him to soften his language once, when he called Trump "mean-spirited" after the president first issued the so-called Muslim travel ban shortly after taking office. 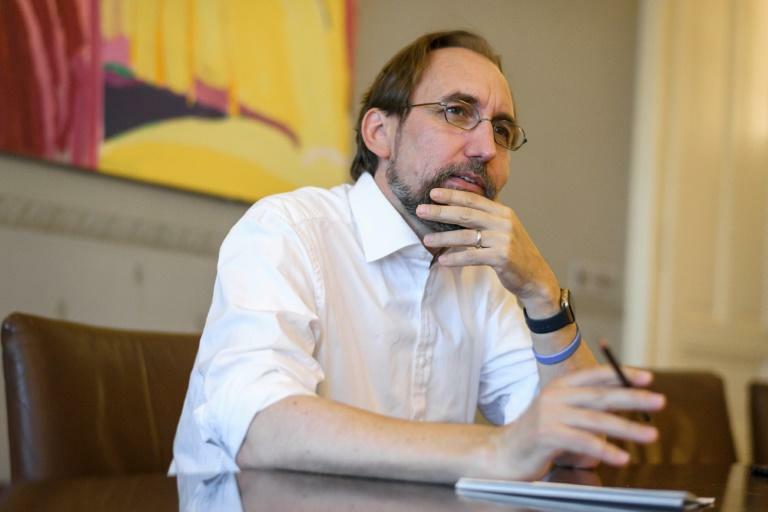 "He said, 'you know Zeid we have our problems with the incoming US administration and there may be threats to funding and you may want to use a different set of terms'," the rights chief told AFP, recalling the conversation with Guterres. Zeid said he took that as advice "from an old friend". "I persisted with the way I believe it needed to be done and he wasn't insisting that I change," he added. Some campaigners have accused Guterres of downplaying human rights advocacy since taking over the UN's top job in December 2016. Zeid suggested there was a "natural progression" that affects all secretaries general, where they begin by figuring out the "political topography" of the job before taking a harder line on abuses that could alienate leaders. Tension between the rights office in Geneva and the more politically focused secretary general's office in New York was understandable, Zeid said, stressing that he had no regrets about any specific condemnation of government abuses. But, after what he described as a four-year effort to shine a light on violations on each continent, the rights chief also made clear that he was not overly optimistic about the future. Zeid has relentlessly condemned politicians whom he accuses of stoking ethnic and religious tension to boost their appeal, a list that for him includes Trump and Hungarian Prime Minister Viktor Orban, among others. His term in office made him realise that "all states are works in progress and one or two generations of reckless politicians can destroy any and every state," he said, citing the US, Hungary and the rightwing government in Poland. He said he worried about "the return of the demagogues, half-truths, the charlatans who are peddling fear, stoking xenophobia and using these appalling violent extremists (like the Islamic State group) as a counter-point on which to pivot all that they are doing." But, asked to identify the one thing he worried about most, Zeid opted for levity, saying the prospect of being requested "to remain as high commissioner" filled him with fear. He has called for the job to be restricted to a single term, to ensure that the rights chief avoids making political calculations to secure another four years.